Fully adjustable design provides custom fit and firm compression. Ideal for sprained, strained, and arthritic ankles. Lightweight design is ideal for extended use and fits in most shoe styles. Side stays help provide firm lateral support and protection. Figure 8 strapping system offers custom support and controlled compression. Extended height above ankle helps provide additional stability. Fully adjustable design provides custom fit and firm compression. 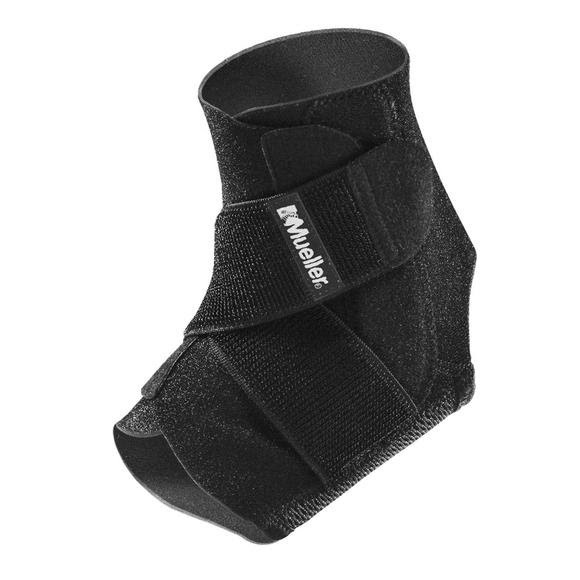 Ideal for sprained, strained, and arthritic ankles. Lightweight design is ideal for extended use and fits in most shoe styles. Side stays help provide firm lateral support and protection. Figure 8 strapping system offers custom support and controlled compression. Extended height above ankle helps provide additional stability. Treated with Aegis Microbe Shield to keep the product fresh and odor free. One size design fits men&apos;s shoe 4.5 - 14; women&apos;s 6 - 15.5. Fits either foot.